CKT Engineering has been manufacturing high quality specialist exhaust systems for the light aircraft industry for over fourteen years. CKT has a multi-skilled team of experience engineers and certified welders approved to BS EN ISO 15614 2004+A2 2012 and CAA approved to BACR A8-10, with the skills and technical capabilities to produce a variety of welded and fabricated aircraft structures, tubular products, exhaust components and systems. 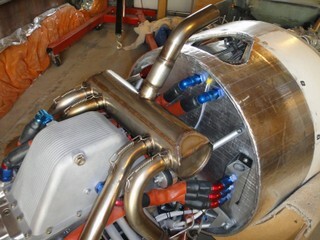 In addition CKT has a wealth of knowledge and experience in designing and manufacturing high quality performance systems, building a solid reputation with the development of a unique exhaust system designed to match the power characteristics of the Rotax power plant, and subsequently moving on to satisfy many other LSA/Ultra light aircraft manufacturers. The quality control of our exhaust systems is our primary aim, with manufacturing using tubular fabrications, sub-assemblies, bracketry, and similar products in Nickel Chrome Alloys, Titanium, Aluminium Alloys, 4130 and standard steels. CKT are ISO 9001 accredited and registered with SC21 the UK aerospace collaborative programme designed to transform aerospace and defence supply chains.